In recent news, it has been reported that short sales made up 23.9 percent of home purchases as compared to foreclosures, which comprised of 19.7 percent of sales. These numbers from January 2012 were relatively higher than the numbers collected in 2011, which showed foreclosures to have the bulk percentage of transactions in comparison to short sales. The reason for this change is a result of banks and government agencies taking the initiative to increase the likelihood for short sales to proceed to closings. It is known that foreclosures affect not only our economy, but also the families and communities in which the homes are located. 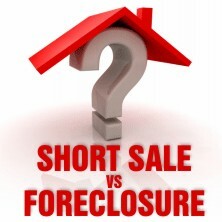 The promptness of banks approving short sales and taking the initiative to make these sales a priority, will help families who are unable to keep their home proceed to a short sale closing and avoid a foreclosure proceeding. If you should have any questions or would like more information regarding this topic, please do not hesitate in commenting this post or feel free to email or call (718) 377-7798 to speak with Michael Reinhardt.